This is a really fun science experiment perfect for November the 5th but an all year round one too. It can be also used to make art and craft projects as well, I'll tell you how at the end. YOU MUST HAVE AN RESPONSIBLE ADULT WITH YOU WHEN DOING THIS! Put your crisp packet on an old plate. Put in your microwave for 4-5 seconds and watch. 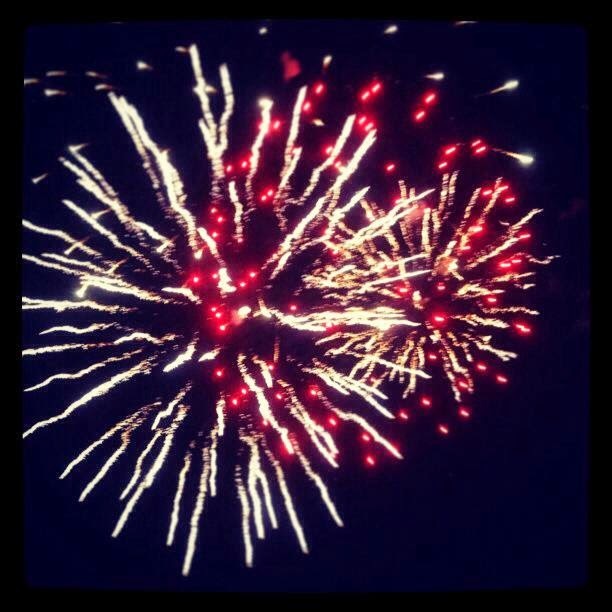 FIRE WORKS! You should see bright sparks flashing from your packet while the microwave is on! Leave it a few moments (two or three minutes), then, when you do check to see what's happened (if it worked correctly) you will have the packet and it will have shrunk. You do need to leave it a good couple of minutes before touching but once it's cooled down and you have a feel you will notice that packet goes very hard. You could put a hole punch in the corner first and then you've have a hole so you can attach it to a key ring which makes for a really cool Pop Art homemade present! So simple to do but what are we seeing? How does it work? This is all about how polymers behave and the way that microwaves can induce an electrical current in metal objects, like the foil in a crisp packet! The polymer involved in this experiment is the thin layers of plastic that the foil in the packet is sandwiched between. Microwaves are a form of electromagnetic radiation. When the microwave is turned on with the crisp packet inside, a current begins to flow back and forth in the metal. This is what causes the metal to heat up and the sparks to fly! It all whens happens when the plastic shrinks, it causes cracks to form in the foil which makes the electrical current build up at one point until there is so much current in one spot that the current stops unless it gets enough charge built up at once that it over come the resistance of the air and jumps over the crack. This is when the sparks fly! The spark is the surrounding air that heats up to the point that it glows, it expands rapidly which is what produces the mini shockwave (that crackly snapping sound). So I mentioned that the plastic has shrunk but how, what has happened to the polymer? Some of the heat generated from the electrical charge passes into the plastic either side. Plastic is a polymer and when the metal is heated in this way if heats the plastic up too. Polymer molecules are long chains like beads on a necklace. When heated the molecules jump about, sliding on top of each other, making a thicker layer. Then when they cool feel harder simply because it is a thicker layer of plastic. The plastic used in these crisp packets is known as a thermoplastic, or thermo-softening plastic. It is a polymer that becomes pliable or mouldable above a specific temperature, and returns to a solid state upon cooling!